White South Sea Pearl Pendant at Selectraders: This modern pendant with a White South Sea pearl consists of a gold necklace (available without chain, with chain in 16 or 18 inches long) and a diamond pendant. The necklace and the pendant are crafted in 14k white or yellow gold. 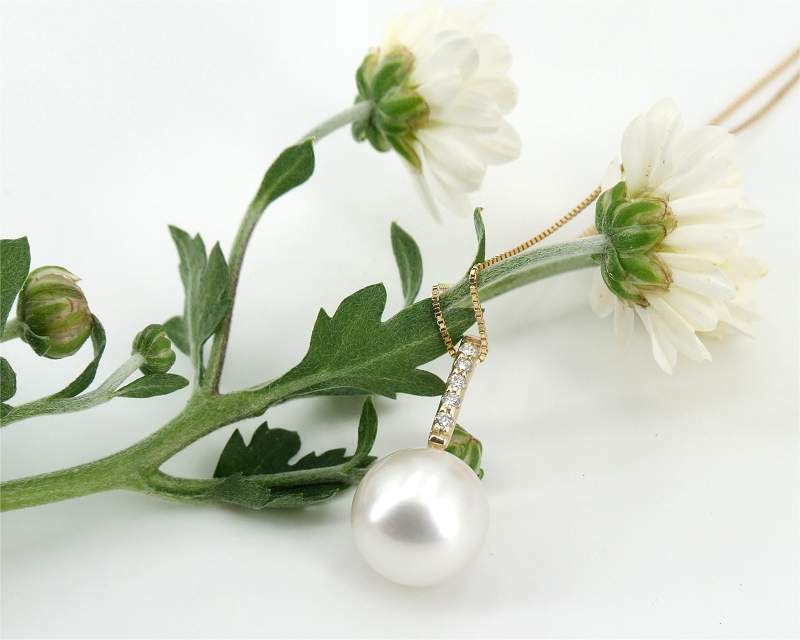 The South Sea pearl pendant is set with diamonds of VS-SI purity. The total weight of the diamonds is 0.05 carat. 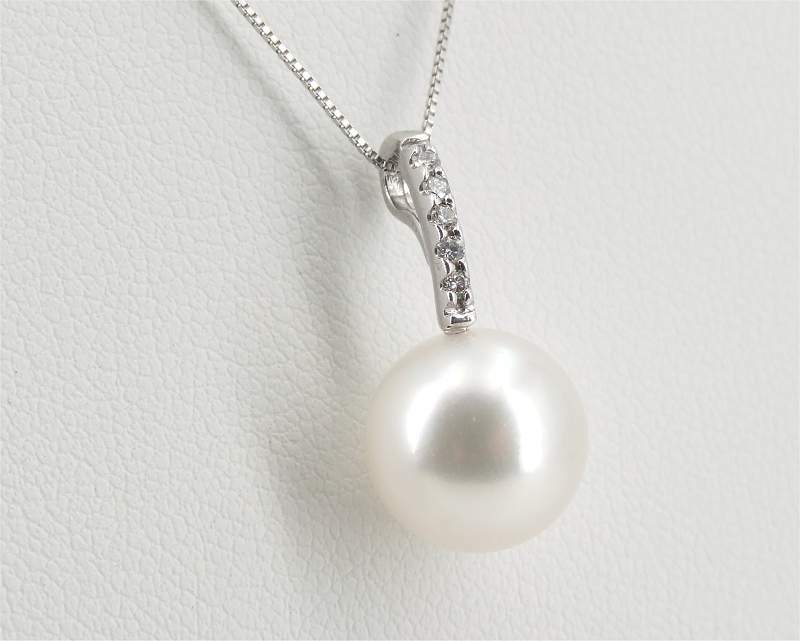 A classic white South Sea pearl of AAA quality tops off this necklace. The pearl is 10.0 – 11.0 mm in size and perfectly round. The body colour of the pearl is white with a rose overtone. White South Sea pearls are the most valuable pearls in the world. All details on this pendant are shown below the pictures. - Availability: in Stock. Usually ships within 1 business day. Selectraders emphasizes on offering nearly perfect, immaculate pearls. These pearls are hard to find - only 1-5% of one entire harvest meet the standards required. Our customers acquire top quality at unbeatable prices. Unlike the common jewellery trade, we source our pearls from our own pearl farm and purchase excellent quality from other pearl farmers directly. 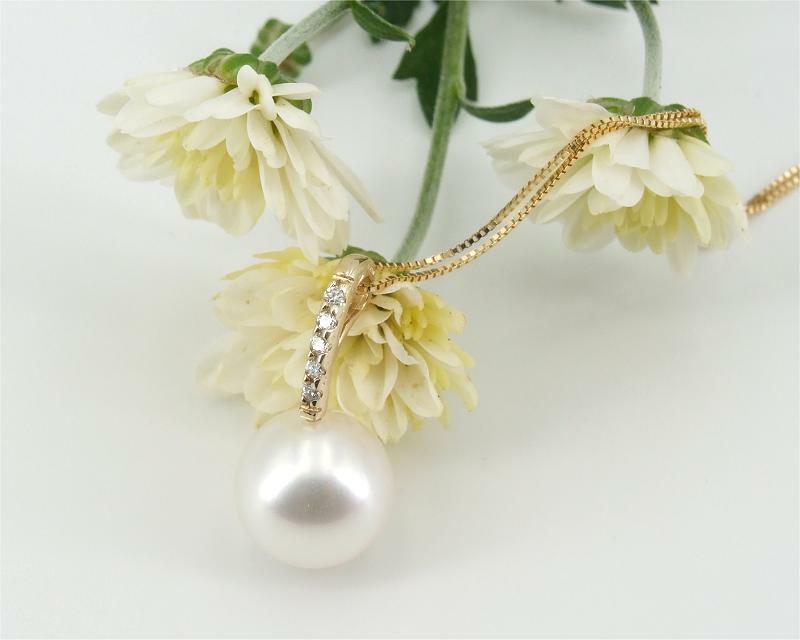 Therefore, we eliminate intermediary trade, which enables our customers to save 300% or even 500% (White South Sea Pearl Pendant - retail price: £ 750). Selectraders customers benefit from these price differences. Since our customers are satisfied with their purchase, 30 % of them recommend Selectraders to friends and family. Happy customers are our best advertisement.